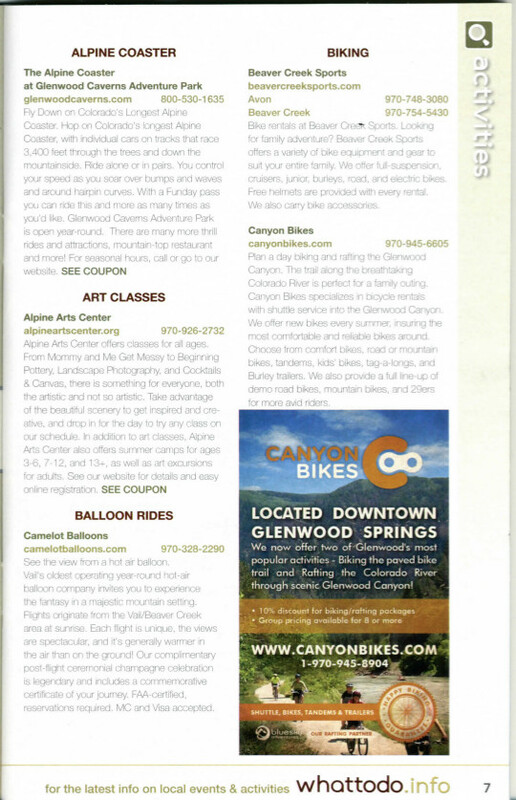 A page from the magazine showing Activity Listings with an ad. All Advertisements must be approved by your business in order to appear in the What ToDo Magazine. To do this, click on ALL ITEMS and then click on the word ADVERTISEMENTS. Click the EDIT button to the left of the Ad you wish to view. – Approve the ad (after you preview it) for publication. 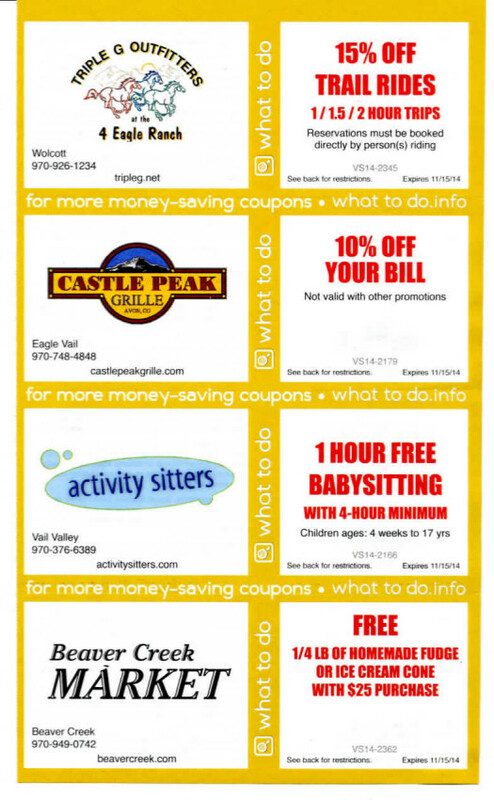 Again, all Coupons must be approved by your business in order to appear in the magazine. To do this, Click on ALL ITEMS and then click on the word COUPONS . Click the Edit button to the left of the Coupon you wish to view. If changes are needed write them directly into the text box. To save your changes click into another text field, and the changes to the previous field will be automatically saved. NOTE: There are character limitations for how much you can write in these boxes. Each box has an alert above it letting you know how many characters you have available. Next, double check the Coupon Expiration and Coupon Code. You will need at least one (and up to four) Active Location. You make a Location active by clicking the red box next to it that says “Inactive.” The red box will turn green and change to “Active.” If the box is green, that location is already active for this Coupon, so make sure it’s correct. If it’s not correct, click the yellow box with the pencil icon at the top right of the location box, and make any changes to the location, phone number or email. Please contact your WhatToDo representative if you need assistance adding a new location. If you have a problem in the Coupon approval process, click the“Contact WTD” button and email your question to us. To view your existing Listings, click on ALL ITEMS and then click on the word LISTINGS. The number that appears on the far side of this button displays how many Listings you have in various WhatToDo publications. These Listings may currently be approved (displayed with a check mark in a green box) or unapproved (displayed with an exclamation point in a red box) by your business. To appear in the guidebook when it goes to print, your listing MUST be approved. NO UNAPPROVED LISTINGS WILL BE PRINTED. Your job now is to approve any unapproved listings. You do this by clicking the Edit button that appears in the far left column. Please review all your information and if it’s correct, click the “Approve” button. If changes are needed write them directly into the text box. To save your changes just click into another text field, and the changes to the previous field will be saved. The grid sort and search functions here work the same as with any WhatToDo grid for “Business Name” and “Keyword.” For a refresher on using grids, click here.